We’re always delighted to received feedback from people who have used our information and advice to help them in Continuing Healthcare assessments – to win the battle for NHS funding. NHS Continuing Healthcare is NHS funding that covers 100% of care fees for people who need full time care primarily for health reasons. There are clear and established guidelines about how people should be assessed, and the funding eligibility criteria that should be applied in Continuing Healthcare assessments. However, many families experience assessments that are not conducted properly, assessors who seem unaware of the guidelines or who blatantly ignore them, and funding decisions that are clearly wrong and force people to pay for care that the NHS has a legal duty to provide free of charge. Families who comment on our blog often indicate that NHS Continuing Healthcare assessors are reluctant (to say the least) to part with any money, and so you may find that in assessment meetings they will attempt to water down evidence of health needs, put their own subjective slant on the eligibility criteria, ignore evidence completely and/or obstruct the proper assessment process. Keep up the pressure. Challenge every instance of this and hold them to account. Be sure you’ve read the Continuing Healthcare eligibility criteria yourself, including the National Framework for NHS Continuing Healthcare and NHS-funded Nursing Care. Get familiar with the language used in NHS Continuing Healthcare assessments. Again, you’ll find this in the eligibility criteria. Use the same language when putting forward your own view of your relative’s health needs. There are 12 areas of health needs that are assessed in Continuing Healthcare; these are called ‘domains’. Each one has a range of different scores that can be given, and each score has examples of health needs that may apply. Make sure you’ve read these and that you know what score you think your relative should be given in each domain. The Coughlan case is a landmark legal case that reinforced the legal divide between free NHS care and means tested local authority care. However, many assessors ignore it and, worse still, some have never heard of it. The more informed you are yourself, the better. If you’re acting as your relative’s representative, you should be invited to – and invited to input into – all NHS Continuing Healthcare assessments. 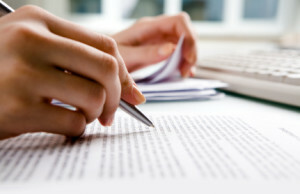 You should also be given copies of assessment notes, daily care notes and other supporting evidence for your case. Make sure you ask for these. Read them thoroughly and pull out the points you know will support your request for funding. In addition, pick the notes apart and identity anything that is inaccurate, misleading or missing. In an assessment it’s not unusual for assessors to nod their understanding of your arguments and/or your objections to what’s being said, but then to completely ignore them! Make sure the assessors actually write down what you say, so that your points are actually captured in the assessment notes. “Just wanted you to know that we secured NHS funding for my Mum. Your e-book made such a massive difference. “We had to fight hard and put so much pressure on the assessor from the doctors, ward sister, physio etc. It should have gone to panel last week but the assessor pulled it at the last minute and went back out to the hospital and did a further assessment. It went to panel yesterday and was approved. “We used your jargon and the court case. We had the attitude that we would fight with all the evidence. We knew all the wording in the different categories and had done all our homework. We got hold of the hospital’s own assessment and that helped too. When we didn’t agree with a category we requested that she type in her report that we didn’t agree with her and the reasons why. Read more about NHS Continuing Care assessments and funding – and explore our e-book, How To Get The NHS To Pay For Care. He has also been denied Continuing Healthcare even though he can’t swallow, speak and can barely move. Just wanted to lend my support to the excellent advice you are offering. Thanks for your comments. Yes the flaws in the system, not to mention the seeming ease with which assessors simply step outside the rules, can make the whole process so very stressful for families. Angela, thank you.Ihave been involved,CHC (for relative at home )since May 20013 and have THE MEETING THURSDAY 07/11/13 .The preparation by MDT SEEMS to have been poor, no reports to co ordinator up to 21 october, those to attend from mdt , unknown, bar one .I took this at face value as being inefficiency,perhaps it is more! We are at a point now, when family have had to make difficult arrangements and feel they need to be at meeting so guess we must let it run and see what outcome is. Well done for fighting and staying strong. We have had to write to CHC to say that mums assessment was flawed and we wanted it to be done again. We have not heard anything as yet and no acknowledgement of our recorded delivery letter. I am appalled and as a Health Professional myself, I feel that there are so many “flaws” in the system that something needs to be done now to give every one their entitlement. The governement need to be closely looking into how these assessments are conducted. Our Social Worker had only seen mum once and after the assessment said she had Alzheimers for two years whereas she has had it for seven. She commented on all of the domains where I believe she should not have as she is not a clinician. The Assessor had not seen mum and came in half an hour late as the original assessors car was not working – she couldn’t go backwards!! I could go on and on but enough said. Everyone keep up the good work.